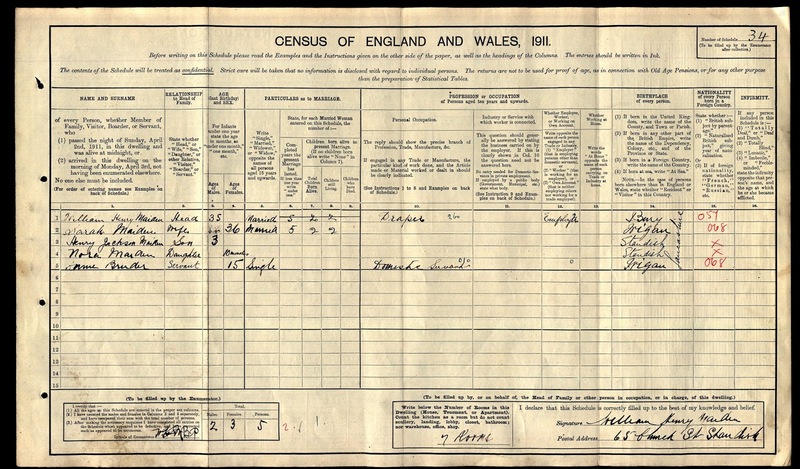 The Standish Arms Hotel was built in the first decade of the 1900's and only appeared on the 1911 census below when William Henry Maiden was in residence. 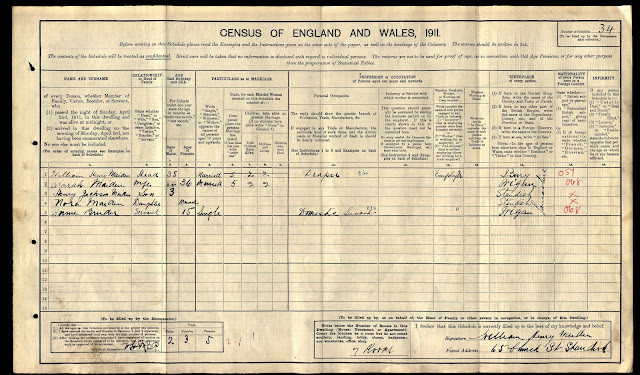 There is little known about how long the hotel operated for and in 1911 the occupant, William Maiden is listed as a draper rather than a publican or hotel proprietor but the enumerators of the census clearly record the property as "65 Church Street Standish Arms Hotel". 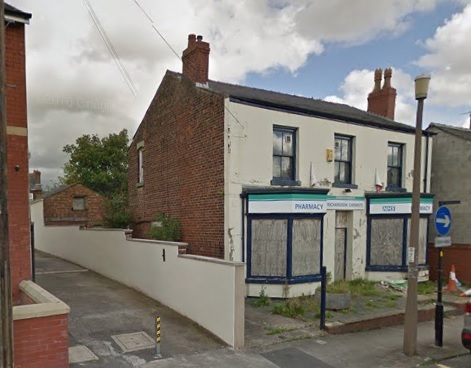 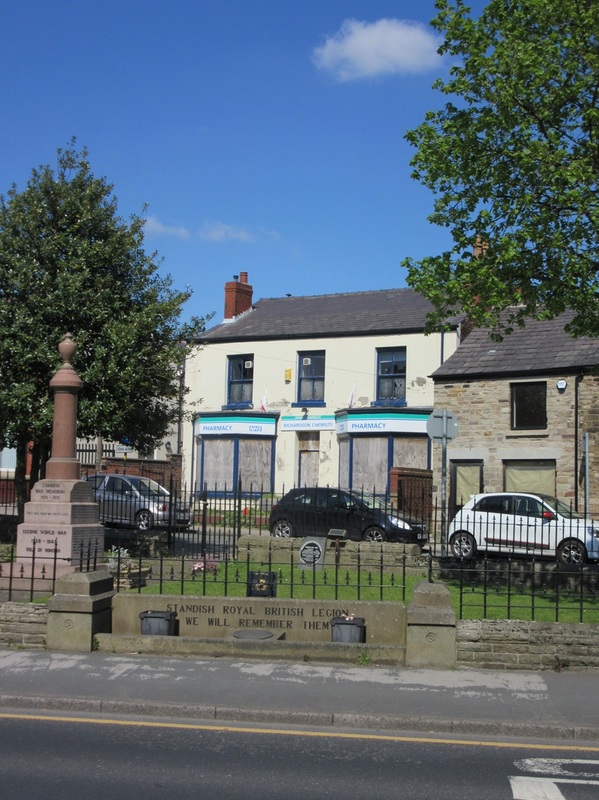 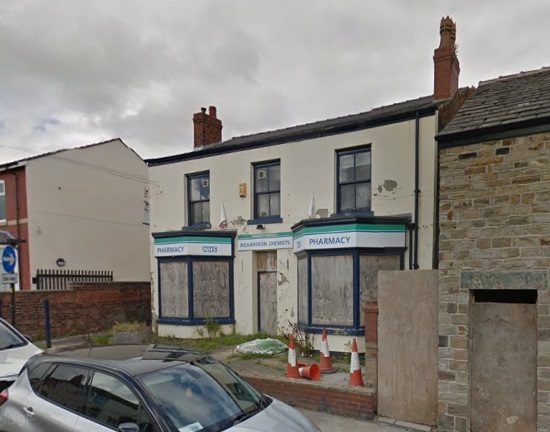 In recent times it has fallen into a state of disrepair having been a run as a pharmacy for a period of time.